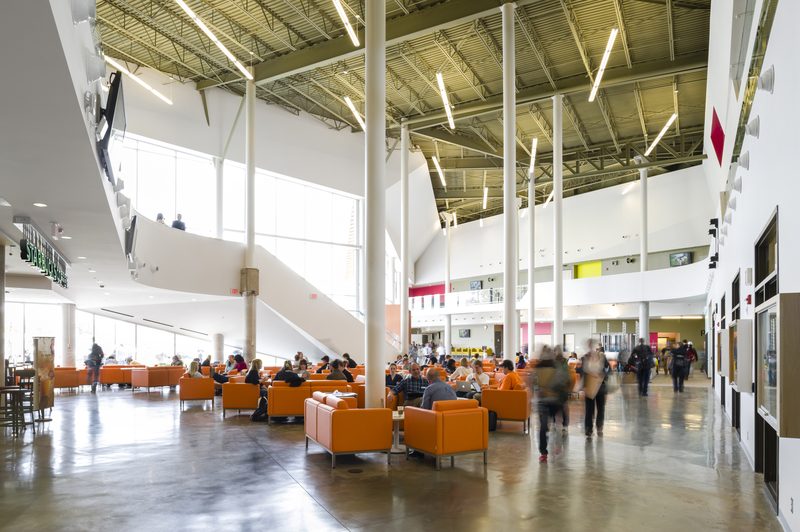 This new 110,000 square foot student commons is conceived as the new indoor heart of Algonquin’s Woodroffe Avenue Campus—a focal point for student services, learning and social activity. 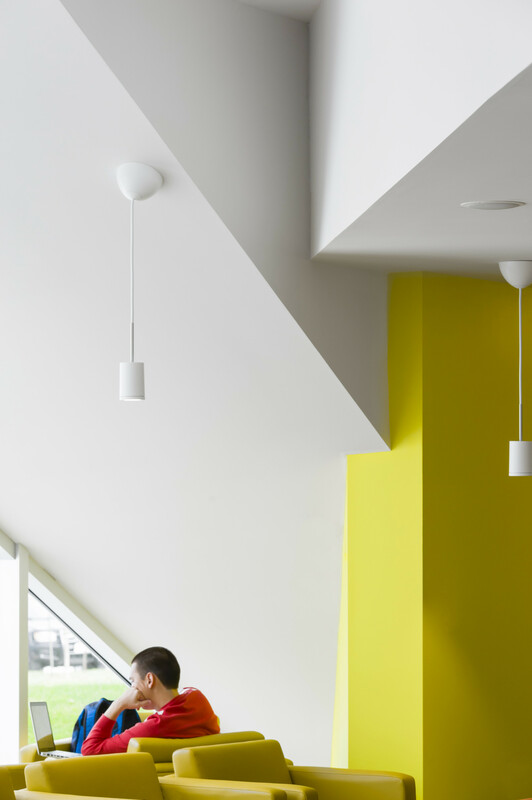 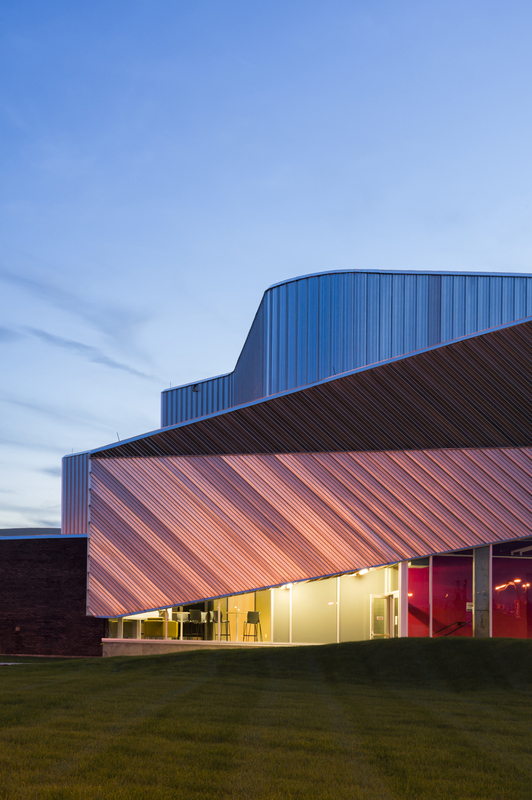 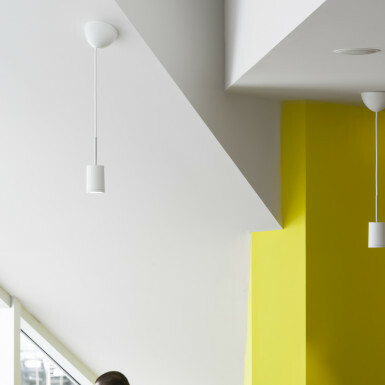 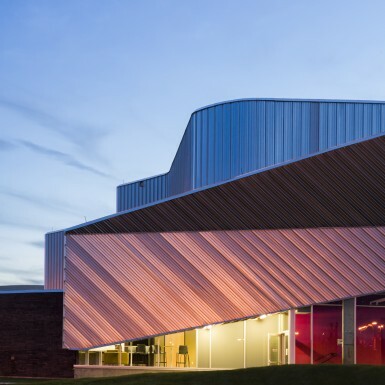 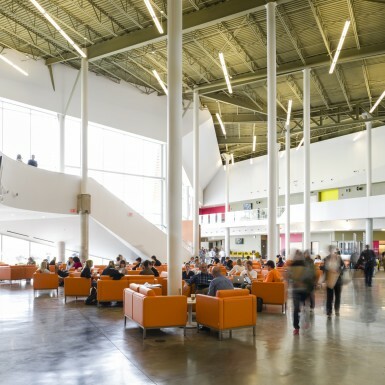 The building creates a new “living room” for the academic community: a central student environment that offers a full range of social and learning experiences and is a centre for student gatherings, events and celebrations. 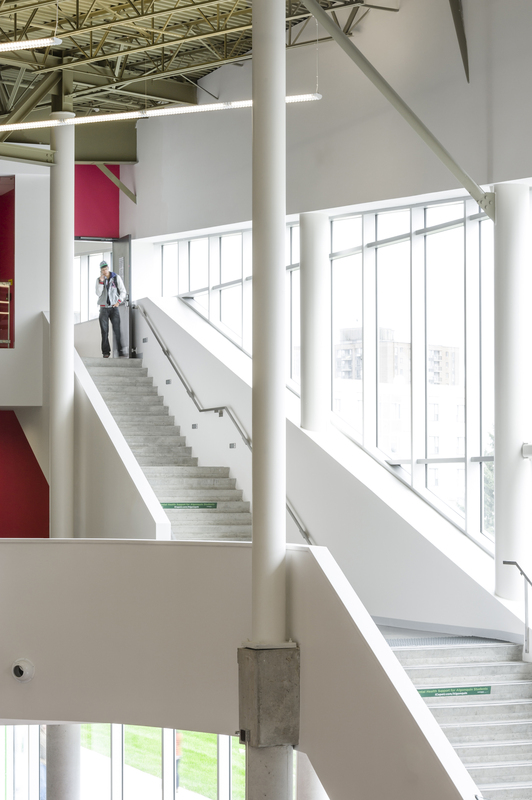 All of the program areas of the new Student Commons building overlook a three-storey, terraced student atrium. 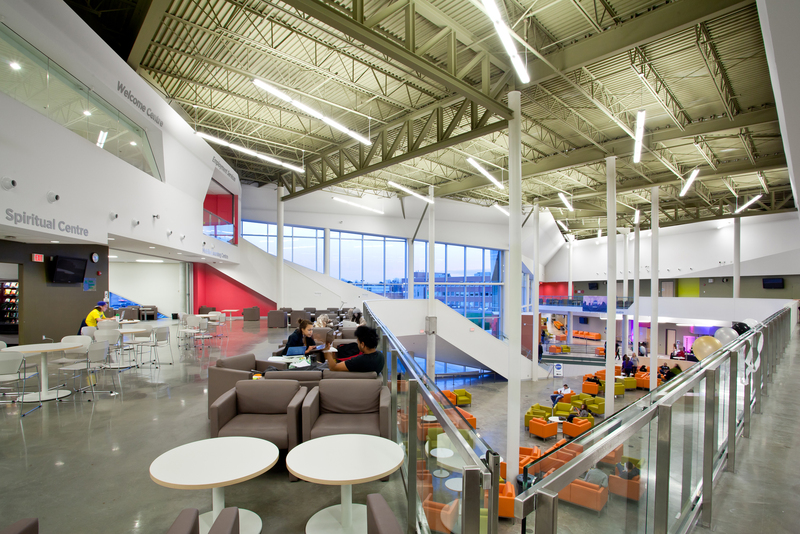 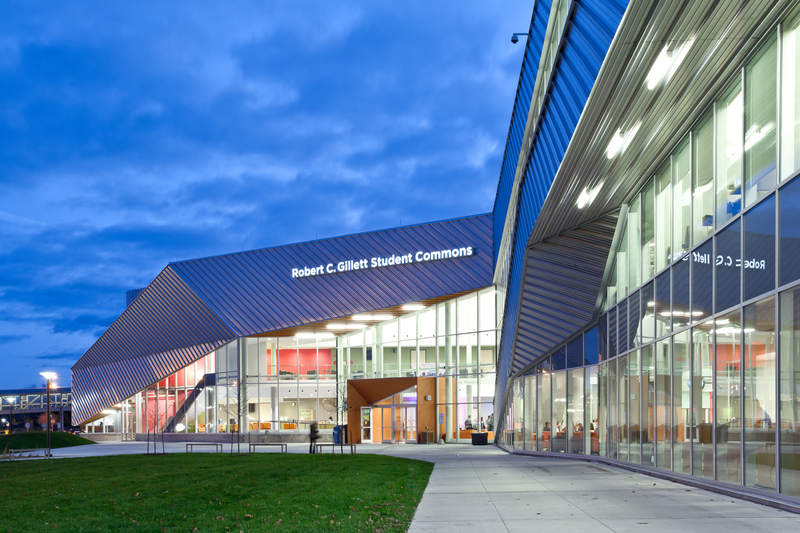 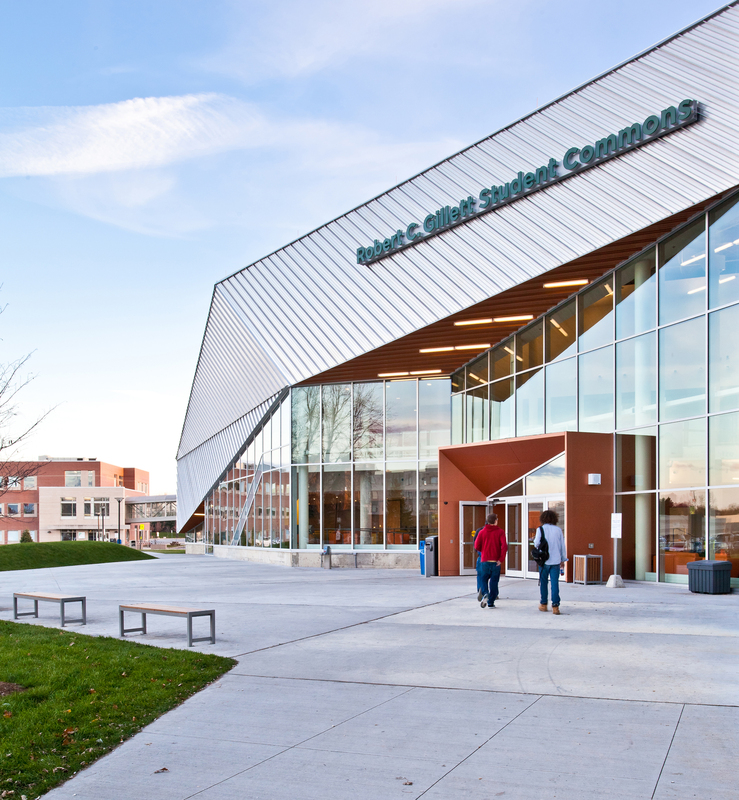 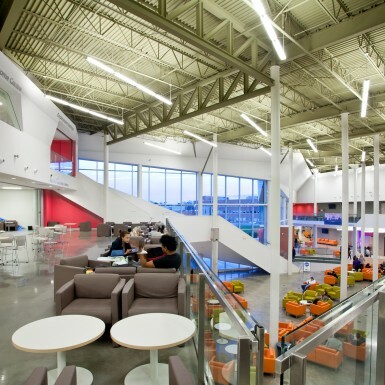 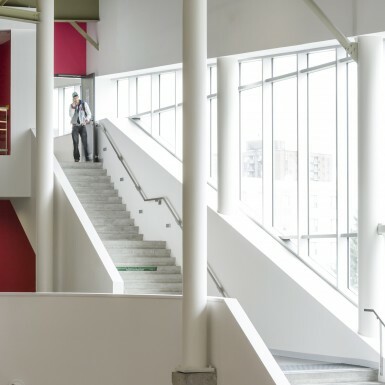 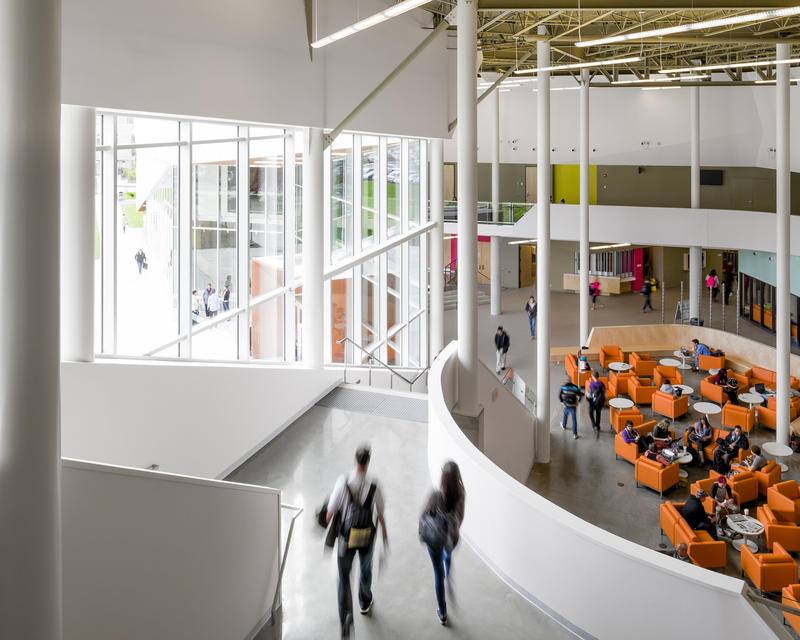 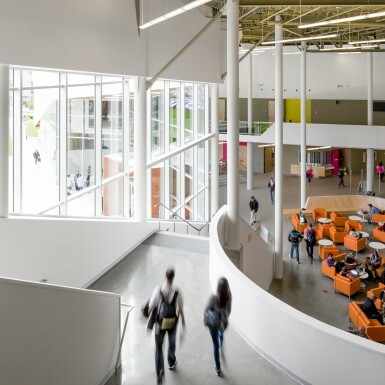 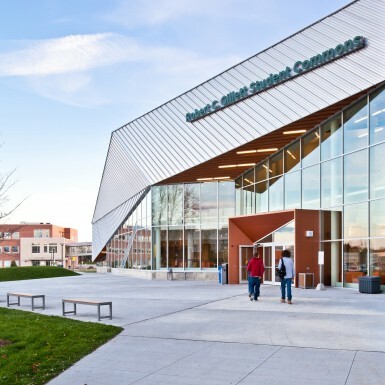 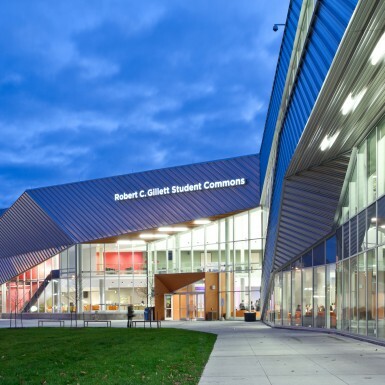 The visible connection between all three levels of the building allows student interactions to occur more readily and frequently creating a true three-dimensional hub of student services. 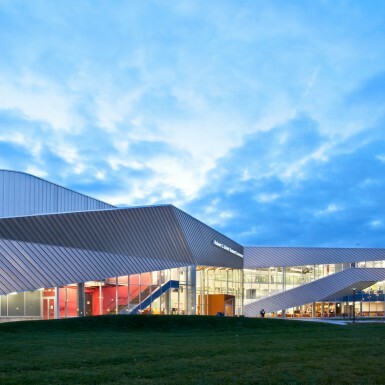 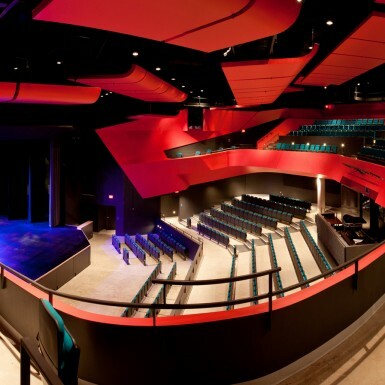 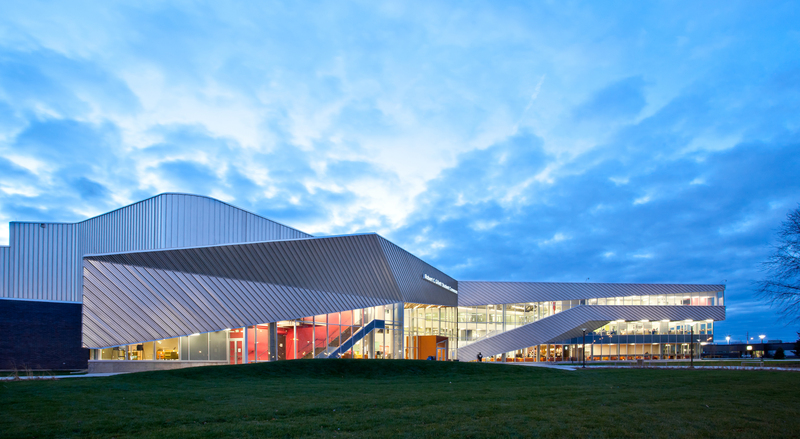 Services provided by the new Common Building include a new 700-seat Theatre, Student Administration offices, the Bookstore, Technology Stores, Food Outlets, Study Spaces, First Nations Centre, Travel Centre, Multi-purpose space, Clerk at Community Spaces, Spirituality Centre, Mobile Learning Centre, Centre for Students with Disabilities, Counseling and the Student Success Centre.